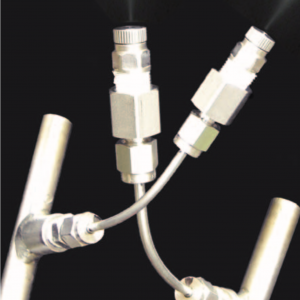 Single mist nozzle or choice of 3 or 5 nozzle clusters. 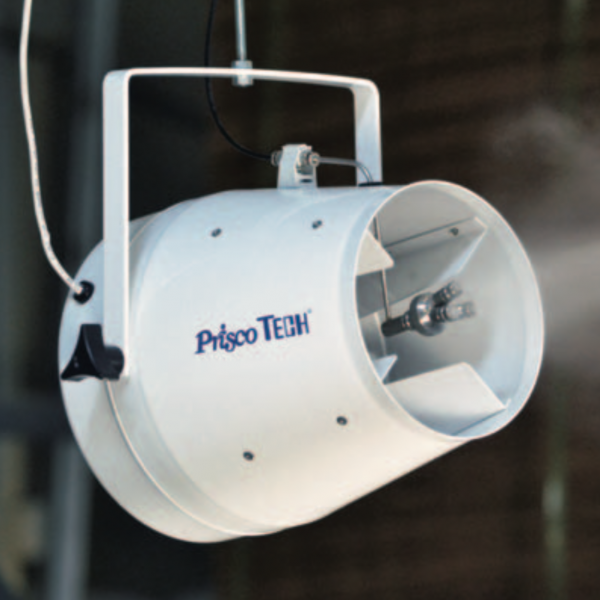 Aquamist can be configured with either a single misting nozzle or your choice of a 3 or 5 nozzle cluster. 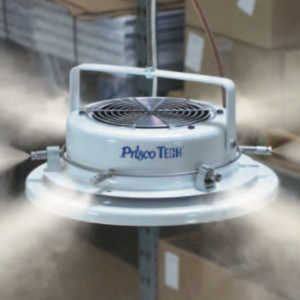 It’s quiet axial fan distributes humidity in a narrow pattern up to 50’ within an area of up to 1000 ft2 (20’ x 50’). 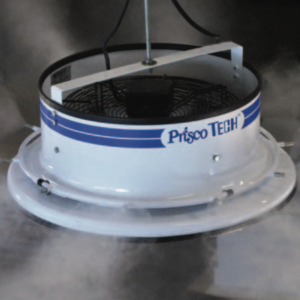 Depending upon the nozzle configuration used, between .01 to .125 gal/min (5 – 65 lb/hr) of water is delivered with no fall-out.